The Regional Radiation Protection Service (RRPS) based in the Department of Medical Physics at the Royal Surrey County Hospital (RSCH) is one of the major radiation protection services in the Country, providing comprehensive radiation protection and diagnostic radiology physics services inside and outside the NHS. Services are provided to over 300 radiation users including local NHS Hospital Trusts, the NHS Breast Screening Programme, independent hospitals, clinics, Corporate health providers across the UK, dentists, vets and industry. The RRPS comprises an expert team of Physicists, X-ray Engineers and Technical Officers working closely together. Their offices are in the St Luke’s Wing of the RSCH where facilities include an X-ray laboratory, imaging laboratory and dose monitoring laboratory, together with an extensive array of radiation survey and X-ray testing equipment which is calibrated in accordance with necessary standards. As part of our RPA service staff radiation doses are monitored. Many of our customers deal directly with a personnel radiation dose monitoring service provider (e.g. Mirion, NRPB, Landauer) who will then forward to us the dose reports. Regular reports of doses received by staff are monitored by experienced members of the RRPS team and local Radiation Protection Supervisors are immediately informed if there is any cause for concern. Otherwise we keep a copy for our records and then forward the report to the customer. We keep records in order to be able to complete annual staff dose reports for our customers and to monitor trends in staff doses to ensure that they remain within acceptable limits. 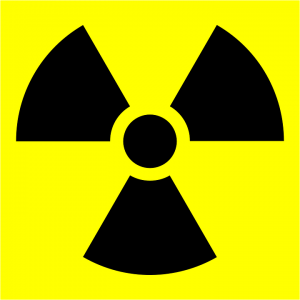 We liase with monitoring service providers (Mirion, NRPB or Landauer) on behalf of some radiation workers (mostly those who work within the RSCH Trust) and distribute dosemeters, collect and return them to the service provider to be read and reported. Whole body TLD badges are used. These are issued Monthly, 2-monthly or quarterly and worn on the trunk at chest or waist height. Some staff (eg interventional radiologists) are required to wear two badges. 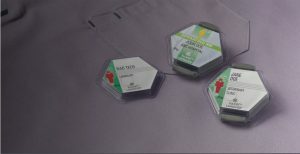 One badge to monitor their body dose, which is worn under their lead apron. The second ‘collar’ badge is used to monitor radiation dose to parts of the body not protected by the lead apron such as the eyes or thyroid – for convenience this is worn on the shoulder or collar outside the lead apron. Staff who work handing radioisotopes or with their hands near to an X-ray beam will have their finger dose monitored either continually or periodically using TLD finger monitors. These monitors will either be in the form of fingerstalls or rings. Fingerstalls are used by staff handling radioisotopes, as they enable doses to be measured at the tips of the fingers. Radiologists may wear either rings or stalls, whichever they find most convenient and comfortable. We issue finger monitors together with a form (extremity isotope form or extremity radiology form), on which the monitor number, the name of the wearer and the period of wear are recorded. Users are asked to complete the form with further details of activities undertaken in order to assist us in relating finger dose to workload. At the end of the monitoring period the finger monitors are returned to us together with the form. We offer advice on laser safety and employer responsibilities to both NHS and private hospitals and clinics, including the requirements of the latest MHRA Guidance. The service includes appointment of an accredited Laser Protection Adviser (LPA), provision of guidance notes for the employer, assistance with preparation of local rules and advice on accommodation and fittings for laser use, including identification of laser controlled areas. We provide an annual review and report on laser safety and are available to give advice in case of accidents or incidents. From time to time we offer laser safety training courses which cover the syllabus in the MHRA Guidance. We offer advice and physics support for MRI including protection, commissioning and routine performance testing where requested. 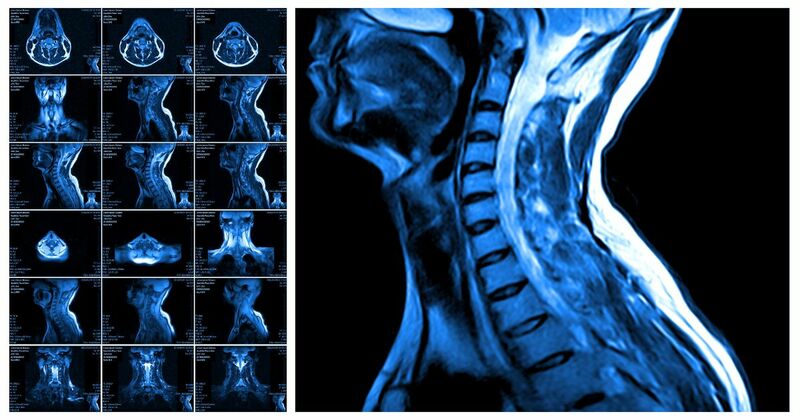 In addition we can provide support in establishing local QA testing for MRI. We provide a testing service for ultrasound scanners, carrying out both initial acceptance testing for new equipment and routine performance testing where required. For mammography we offer 6 monthly testing in accordance with MDA/98/52. We are also able to assist sonographers in setting up local ultrasound QA programmes. We provide a service of twice yearly measurement of ultraviolet irradiance for whole body treatment cabins and PUVA units, in accordance with national guidance. Advice on safety and suitability of equipment and procedures is also offered. The Regional Radiation Protection Service has an expert role in mammography physics and is integrated with the National Centre for the Co‑ordination of Physics in Mammography (NCCPM). Services are provided to the NHS Breast Screening Programme regionally, at the Jarvis (Guildford), West Sussex (Worthing), North and East Devon (Exeter) and Barking, Havering and Redbridge (Romford) together with NHS and Private Hospitals. The physics support includes advice on optimisation of dose and image quality. Commissioning surveys are carried out for new equipment and 6 monthly routine testing is performed on each unit. Testing protocols reflect current national guidance including IPEM Report 89 “The Commissioning and Routine Testing of Mammographic X-ray Systems”, NHSBSP Report 0604 “Commissioning and Routine Testing of Full Field Digital Mammography Systems” and NHSBSP Report 1407 “Routine Quality Control Tests for Breast Tomosynthesis”. Advice is also given on local Quality Control programmes. Mammography physics support is also provided to one of the largest national independent healthcare providers with 3 monthly postal audits of the local quality control systems at each centre. Performance testing, advice on Quality Assurance (QA) and provision of a Medical Physics Expert, enabling compliance with IRR99 and the Ionising Radiation (Medical Exposure) Regulations 2000. Commissioning, performance measurements, image quality/dose optimisation and patient dose measurements. Using modern test equipment performance testing is carried out quickly and efficiently in line with all the current guidance and recommendations. The Regional Radiation Protection Service has been providing NHS and Private sector dentists throughout the South East of the country with a dental X-ray service which includes X-ray Radiation Protection, Equipment Performance and Maintenance for over 30 years. The service has developed to include all aspects of equipment performance, maintenance and legislation compliance with an annual on-site inspection of each X-ray set and an immediate Practice report. This service is now provided to over 130 Dental Practices with around 300 X-ray sets.